He STILL has control!? What the hell!? Books are knowledge; Knowledge is power! 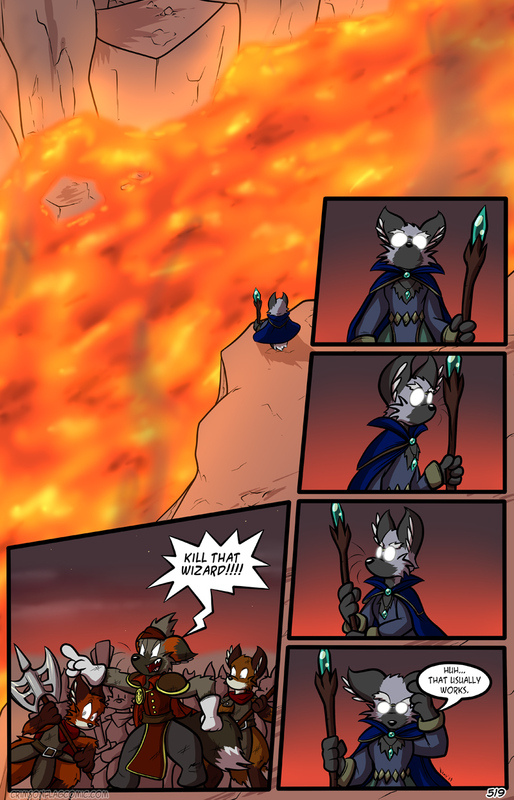 Based on this and previous page, I think this proves that the staff was a very powerfull and important artifact. But it was not what controlled the foxes. As seen earlier, those creatures could controll other creatures before, and if I remember correctly, the staff was used as a focus for an AoE mind control spell, and not as the sources of the mind control.